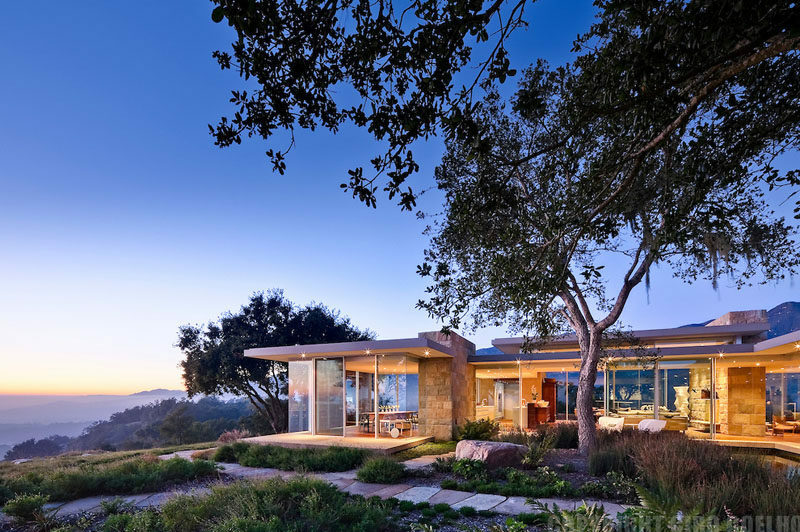 Recently listed through Sotheby’s Real Estate, is this contemporary house designed by Neumann Mendro Andrulaitis Architects, that overlooks the Santa Ynez Mountains and Toro Canyon Park in California. 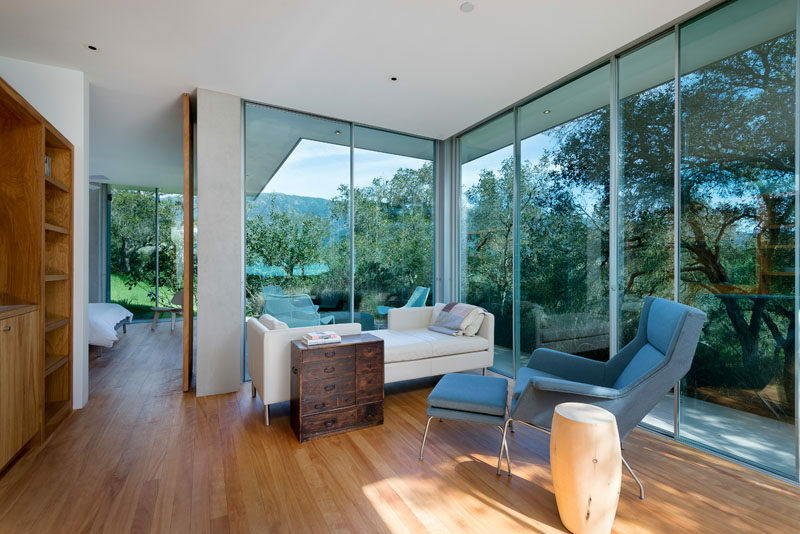 Inside, the home is spacious with walnut floors and plenty of glass. In the main living area, there’s a double-sided fireplace with a stone surround. On one side of the fireplace is the den, and on the other is the living room and kitchen. 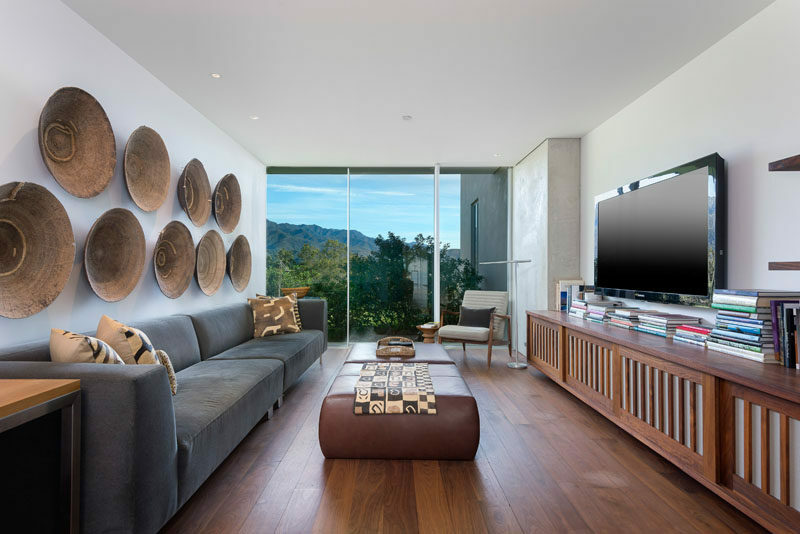 The living room and kitchen share the same space, and sliding glass doors open up to outdoor sitting areas. 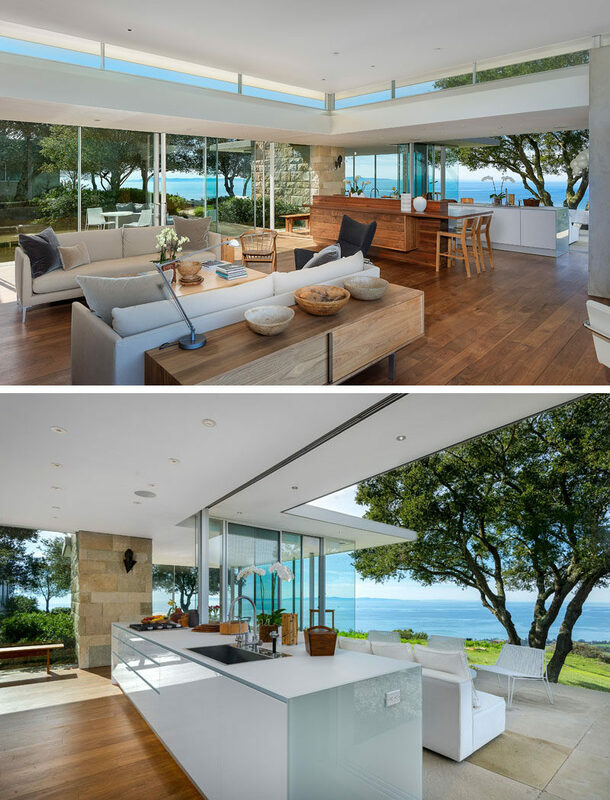 In the dining room, glass walls provide an uninterrupted view of the garden and ocean. The home also has a dedicated tv room. Wooden artwork hangs on the wall opposite a wood tv cabinet. Another space in the home is dedicated to being a home office. 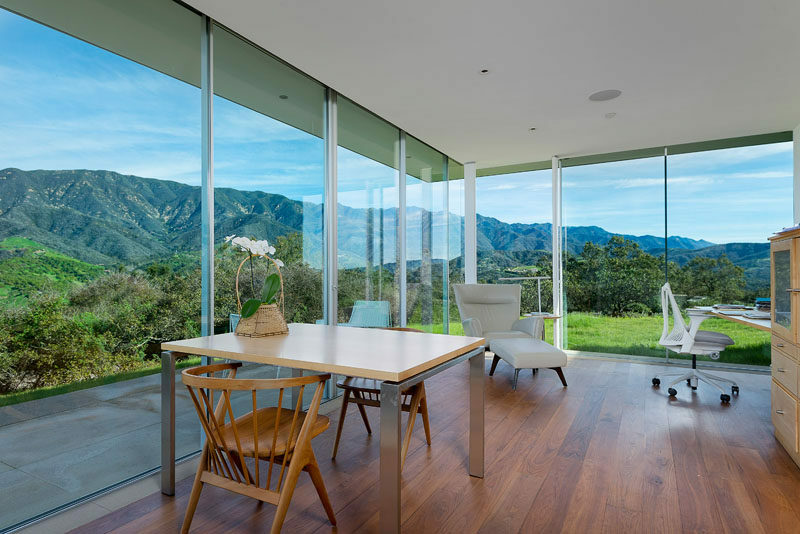 Views of the surrounding mountains are a natural backdrop for the room. 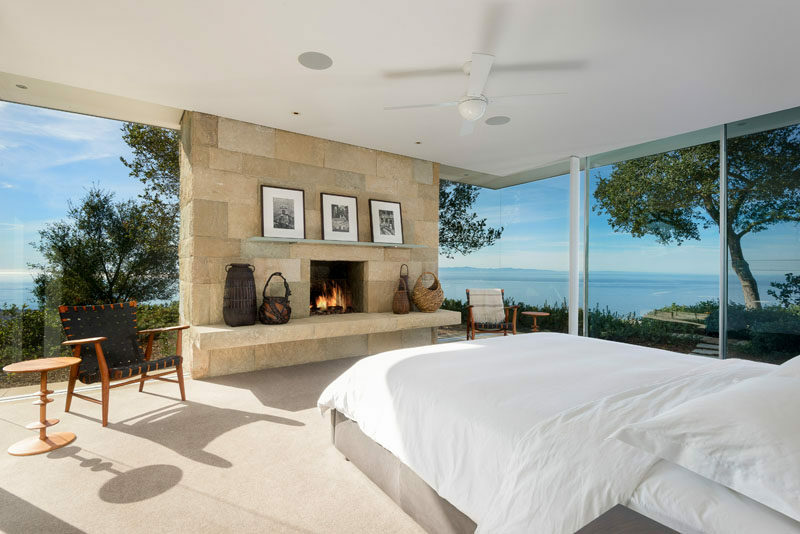 The master bedroom has its own stone fireplace and amazing water views. In the master bathroom, there’s wood cabinetry for plenty of storage, a double-sink vanity and the bath is positioned beneath a window at the end of the room. Outside, a path leads from the main house to a small outdoor entertaining area furnished with a sofa, chairs and stools. 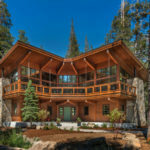 The home also has a private guest house where visitors can stay and enjoy a quiet, relaxing time. 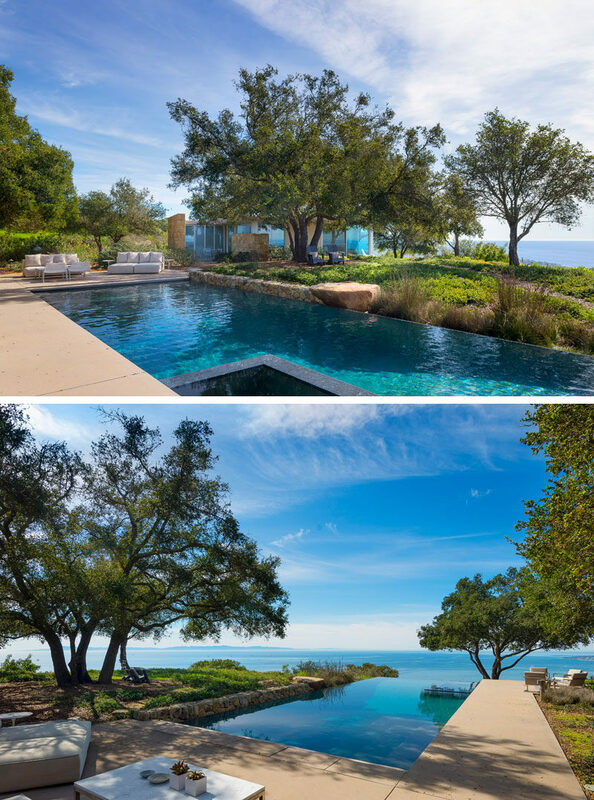 There’s also a swimming pool overlooking the ocean and a pool house. 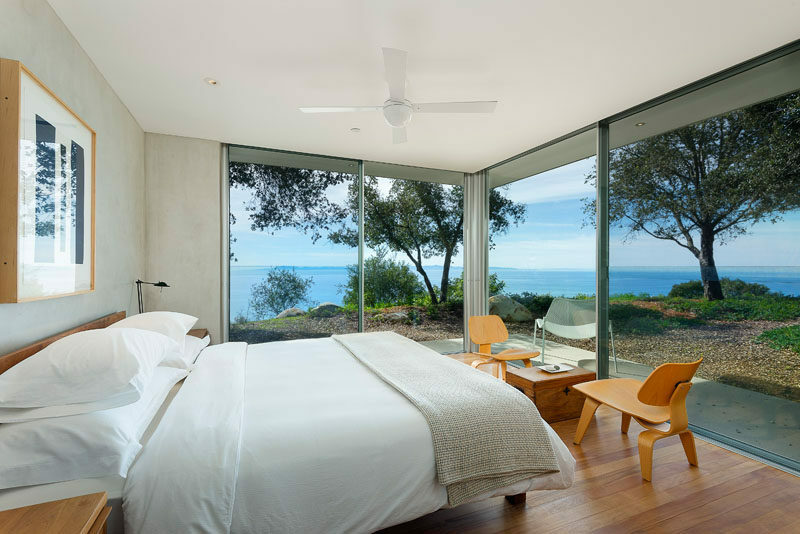 The pool house also has a bedroom with sliding glass walls that open it to the outdoors. 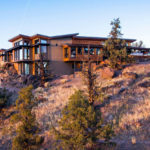 Photography by David Palermo | The house is currently listed through Sotheby’s can you can view the listing here.